Experimental Aero-Hydrodynamics with focus on shear flows, vortical flows, turbulent mixing, drag reduction, measurement techniques, thermo-acoustics, suppression of high speed jet noise, cardiovascular flows. Gai, S.L. and Sharma, S.D. “Experiments on the Reduction of Base Drag of BluntTrailing Edge Aerofoil in Subsonic Flow”, The Aero. J. of Roy. Aero. Soc., 85 (1981), pp 206-210, [Cited: 9]. Gai, S.L. and Sharma, S.D. “Subsonic Turbulent Flow over a Rearward Facing Segmented Step”, Phys. Fluids, 27 (1984), pp 544-546, [Cited: 5]. Gai, S.L. and Sharma, S.D. “Pressure Distributions behind a Rearward Facing Segmented Step”, Experiments in Fluids, 5 (1987), pp 154-158, [Cited: 8]. Sharma, S.D. “Development of Pseudo-Two-Dimensional Turbulent Wakes”, Phys. Fluids, 30 (1987), pp 357-363, [Cited: 3]. Sharma, S.D. “Influence of Yaw and Incidence on Base Drag of Rectangular Wings”, Z. FlugwissWeltraumforsch, 11 (1987), pp 19-22, [Cited: 1]. Arakeri, V.H., Sharma, S.D., Mani, K. and Govinda Ram, H.S. “The High Speed Water Tunnel Facility at the Indian Institute of Science”, Sadhana, 13, Part 4 (1988), pp. 223-235, [Cited: 7]. Sharma, S.D., Mani, K. and Arakeri, V.H. “Cavitation Noise Studies on Marine Propellers”, J. Sound and Vibration, 138 (1990), pp 255-284, [Cited: 11]. Arakeri, V.H., Satyanarayana, S.G., Mani, K. and Sharma, S.D. “Studies on Scaling of Flow Noise Received at the Stagnation Point on a Axisymmetric Body”, J. Sound and Vibration, 146 (1991), pp 449-462, [Cited: 19]. Sharma, S.D. and Sahoo, R.K. “Effects of Trailing Edge Suction on Coherent Structures,” ASME Journal of Fluids Engineering, 120, June (1998), pp. 378-384. Sharma, S.D. and Ahmed, M.R. “Mixing of Co-axial Jets with Small Annular Area in a Short Duct,” AIAA Journal, 36, September (1998), pp. 1740-1742, [Cited: 2]. Ahmed, M.R. and Sharma, S.D. “Experimental Investigation on Turbulent Mixing Enhancement in Confined Coaxial Jets using Chute Mixer Configuration”, JSME International Journal, Series B, 43, No.3 August (2000), pp 414-426. Ahmed, M.R. and Sharma, S.D. “Effect of Velocity Ratio on the Turbulent Mixing of Confined, Co-axial Jets”, Experimental Thermal and Fluid Science, 22, Aug (2000), pp. 19-33, [Cited: 19]. Pant, R.K. and Sharma, S.D. “Flow Visualization of an Upper Surface Blown Unmanned Aircraft”, J. Aero. Soc. India, 52, November (2000), pp. 239-245. Sarpotdar, S.M., Ananthkrishnan N and Sharma, S.D. “The Rijke Tube – A Thermoacoustic Device”, Resonance, 8, January (2003), pp.59-71, [Cited: 9]. Ahmed, M.R., Sharma S D., “Turbulent mixing enhancement with a 10° chute mixer” Aircraft Engineering and Aerospace Technology Volume 77, Issue 5, 2005, pp. 404-414, [Cited: 1]. Ahmed, M.R., Sharma, S.D. “An investigation on the aerodynamics of a symmetrical airfoil in ground effect,” Experimental Thermal and Fluid Science, Volume 29, Issue 6, July 2005, pp. 633-647, [Cited: 69]. Ahmed, M.R., Sharma S D., “Turbulent mixing enhancement with a 20° chute mixer,” Experimental Thermal and Fluid Science, Volume 30, Issue 3, January 2006, pp. 161-174, [Cited: 1]. Sharma S D and Pant R R., “On wake response to asymmetric blowing in spurts from a blunt trailing edge” Sadhana - Academy Proceedings in Engineering Sciences Volume 32, Issue 1-2, February 2007, pp. 111-122, [Cited: 1]. Sarpotdar, S., Raman, G., Sharma, S.D., Cain, A.B. “Jet impingement tone suppression using powered resonance tubes” AIAA Journal Volume 45, Issue 5, May 2007, Article number 0797, pp. 972-979, [Cited: 9]. G Raman, SD Sharma, P Panickar, AB Cain, “Twin-jet coupling suppression using miniature pins and cavities,” International Journal of Flow Control 1 (4), 2009, 271-280. K.N. Murugan and S.D. 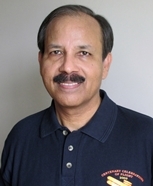 Sharma, “Characteristics of Annular Mixing Layer in High Subsonic Jet,” International Journal of Aerospace Innovations, Volume 1, Number 4, 2009, pp.227-235. Murugan, K. N. and Sharma, S. D., “Effect of Initial Conditions on Aerodynamic and Acoustic Characteristics of High Subsonic Jets from Sharp Edged Circular Orifice,” World Academy of Science, Engineering and Technology, Vol:3, Issue 34, 2009, pp. 1038-1046. S.D. Sharma and K.N. Murugan, “Near Field Aeroacoustics of a Jet from Elliptical Nozzle at M=0.8,” AIAA Paper No. 2010-3955, 2010. P Panickar, SD Sharma, S Sarpotdar, G Raman, W Butler, “New vortex generator design for nozzle internal modification,” International Journal of Aerospace Innovations 3 (4), 2011, 249-260, [Cited: 1]. S.D. Sharma and P.J. Deshpande, “Kutta–Joukowsky theorem in viscous and unsteady flow,” Experiments in Fluids, Volume 52, Issue 6, June 2012, pp 1581-1591, [Cited: 1]. P.J. Deshpande and S.D. Sharma, “Spanwise vortex dislocation in the wake of segmented blunt trailing edge,” Journal of Fluids and Structures, Volume 34, October 2012, pp 202–217. Gai, S.L. and Sharma, S.D. “Measurements in the Wake of Segmented Blunt Trailing Edge Aerofoil in Subsonic Flow”, Proc. 8th Australasian Fluid MechConf at Newcastle, Australia (1983), pp 13c.9-13c.11. Arakeri, V.H., Milton, S.G. and Sharma, S.D. “Role of Unsteady Pressure Fields in Cavitation Inception”, ASME Winter Meeting at New Orleans, USA (1984). Arakeri, V.H., Sharma, S.D. and Mani, K. “A Technique to Delay the Inception of Tip Vortex Cavitation from Marine Propellers”, Cavitation and Multiphase Flow Forum, ASME, FED Vol. 23 (1985), pp 28-30. Gai, S.L. and Sharma, S.D. “Vortex Shedding from Segmented Blunt Trailing Edges in Subsonic Flow”, Proc. 9th Australasian Fluid MechConf at New Zealand (1986). Arakeri, V.H., Sharma, S.D., Mani, K. and Govinda Ram, H.S. “The High Speed Water Tunnel Facility at the Indian Institute of Science”, International Symposium on Cavitation Research Facilities and Techniques, ASME, FED Vol.57 (1987), pp 27-35. Mani, K., Sharma, S.D. and Arakeri, V.H. “Effect of Propeller Blade Modification on Cavitation Induced Noise”, Cavitation and Multiphase Flow Forum, ASME, FED Vol. 64 (1988), pp 64-67. Sharma, S.D., Arakeri, V.H. and Mani, K. “Cavitation Noise from a Marine Propeller Operating in Simulated Wake”, Proc. Workshop on Ship Hydrodynamic Test Facilities held at NSTL Visakhapatnam during 28-29 November (1988), pp K.1-K.21. Mani, K. Arakeri, V.H., Sharma, S.D. and Soundranayagam, S. “Comparative Performance Studies of Two Model Propellers in Different Facilities”, Proc. Workshop on Ship Hydrodynamic Test Facilities held at NSTL Visakhapatnam during 28-29 November (1988), pp J.1-J.14. Chowdhary, R., Singh, V., Sharma, S.D., Gupta, A.B. and Kar, S. “Mechanical Shear Trauma in Airway Models of Asthma”, American Rev. Respir. Dis., 147 : A832 (1993). Sharma, S.D. and Sahoo, R.K. “Near Wake of a Blunt Based Aerofoil with Boundary Layer Suction on One Side”, Proc. 15th CANCAM, Univ. of Victoria, Canada (1995), pp 508-509. Sharma, S.D. and Sahoo, R.K. “LDV Measurements at Low Reynolds Number in the Base Flow of an Aerofoil with Blunt Trailing Edge”, Proc. 15th CANCAM, Univ. of Victoria, Canada (1995), pp 510-511. Kamath, R.V., Sharma, S.D. and Marathe, A.G. “Numerical and Experimental Study of the Air- Ejector”, Proc. Int. Conf. on Advances in Mech. Engg., I.I.Sc. Bangalore (1995), pp 1431-1445. El-Shewey, M.I.A., Sharma, S.D. and Joshi, S.G. “A Study of Turbulent Flows Through Sudden Open Channel Transitions using Laser Doppler Velocimetry,” Proc. ASME Fluids Engineering Division Conference in San Diego, U.S.A., 7-11 July, FED Vol. 237 (1996), pp. 881-889. Sharma, S.D. and Sahoo, R.K. “A Comparative Study of Near Wake Structures of a Plane Blunt Trailing Edge With and Without the Boundary Layer Suction,” Proc. Third International Colloquium on Bluff Body Aerodynamics and Application, Virginia Tech, U.S.A., 28 July -1 August (1996), pp. B VIII 13 - B VIII 16. Ahmed, M.R. and Sharma, S.D. “An Investigation on the Turbulent Mixing of Co-axial Jets with Low Annular to Core Area Ratio,” 16th CANCAM - 1997. Ahmed, M.R. and Sharma, S.D. “Studies on Turbulent Mixing of Confined, Co-axial Jets using Laser Doppler Velocimeter,” Proc. 7th Asian Congress on Fluid Mechanics, I.I.T. Madras, 8-12 December (1997), pp. 135-138. Sharma, S.D. and Sahoo, R.K. “Control of the Periodic Near Wake behind a Plane Blunt Base”, IUTAM Symposium on Mechanics of Passive and Active Flow Control held during 7-11 September (1998) at DLR, Gottingen, Germany. Sharma, S.D. and Ahmed, M.R. “Improved Mixing of Co-axial Ducted Jets”, IUTAM Symposium on Mechanics of Passive and Active Flow Control held during 7-11 September (1998) at DLR, Gottingen, Germany. Sharma, S.D., Ahmed. M.R. and Sharma, A. “Mixing Enhancement of Coaxial Ducted Jets – an Experimental Study in the Context of a Low Bypass Turbofan Engine”, Proc. 5th CAENAL Workshop on Advanced Gas Turbine Technologies held at Chengdu, China during 22-24 November (1999), pp 231-236. Sharma, S.D. and Pant R.R. “Pulsating Blowing to Control Periodic Plane Wake” Bluff Body Wakes and Vortex Induced Vibrations” Port Douglas, Queensland, Australia, 17-20 Dec 2002. Ahmed, M.R., Imran, G.M. and Sharma, S.D. “Experimental Investigation of the Effect of Camber on the Aerodynamic Characteristics of Airfoils in Ground Effect” Proceedings of the ASME/JSME Joint Fluids Engineering Conference, v 1 C, 2003, pp. 2133-2138. Sharma, S.D. “Effect of Trailing Edge Castellations on Near Wake Flow behind a Plane Bluff Body – a New Perspective” 5th International Colloquium on Bluff Body Aerodynamics and Applications, Ottawa, Canada, 11-15 July (2004), pp 227-230. Sarpotdar, S., Raman, G., Sharma, S.D. and Cain, A.B. “Impingement Tone Suppression Using Powered Resonance Tube” AIAA Conference, Reno (2005). S D Sharma and AA Kumar., “Unsteady flow behind a blunt based POD model”, IUTAM Symposium & Unsteady separated flow and their Control Greece June 2007. S.D. Sharma and K.N. Murugan, “Near Field Aeroacoustics of a Jet from Elliptical Nozzle at M=0.8,” 16th AIAA/CEAS Aeroacoustics Conference, 7-9 June 2010, Stockholm, Sweden. Deshpande, P.J. and Sharma, S.D., “Vortex Flows in Near Wake of a Plane Blunt Trailing Edge with Prismatic Appendages,” IUTAM Symposium on Bluff Body Wakes and Vortex-Induced Vibrations, 22-25 June 2010, Capri Island, Italy. S.D. Sharma and P.J. Deshpande, “Innovative Approach to Generation of Streamwise Vortices in the Wake of a Blunt Trailing Edge,” 37th National and 4th International Conference on Fluid Mechanics and Fluid Power, 16-18 December 2010, IIT Madras, Chennai, India. B.V. Venkata Rao and S.D. Sharma, “Measurements in Flow Past Yawed Circular Cylinder,” Eighth International Conference on Flow Dynamics, November 9-11, 2011, GCOE and IFS Tohoku University, Sendai, Japan, p.256. S.D. Muskawad and S.D. Sharma, “Visualization of Flow Characteristics of Prosthetic Mono-leaflet Heart Valve, Eighth International Conference on Flow Dynamics, November 9-11, 2011, GCOE and IFS Tohoku University, Sendai, Japan, p.452. S.R. Nikam and S.D. Sharma, “Near Field Acoustic Characteristics of a Notched Elliptical Nozzle at M=0.6,” 16th International Conference on the Methods of Aerophysical Research, 20-25 August 2012, Kazan, Russian. B.N. Bhasme and S.D. Sharma, “Flow over Circular Cylinder with Vorticity countered in One of the Separated Shear Layers,” 16th International Conference on the Methods of Aerophysical Research, 20 25 August 2012, Kazan, Russia. S.D. Sharma and P.J. Deshpande, “Control of Benard-Karman Instability by mean of Streamwise Vortices generated by Obliquely Segmented Blunt Trailing Edge,” IUTAM Symposium on Vortex Dynamics: Formation, Structure and Function, March 10-14, 2013, Kyushu University, Fukuoka, Japan. Sharma, S.D. “On Suppression of Vortex Shedding from a Blunt Trailing Edge”, Proc. 13th National Conference on FMFP at Trichy (1984), pp 71-76. Sharma, S.D. “Some Measurements on Subsonic Turbulent Flow over a Rearward Facing Step with Castellations”, Proc. 15th National Conference on FMFP at Srinagar (1987), pp 195-199. Cherian, M.P. and Sharma, S.D. “Wind Loads on Multistoreyed Buildings using Scaled Models”, Proc. 18th National Conference on FMFP at Indore (1991), pp G.19-G.24. Sahoo, R.K. and Sharma, S.D. “LDV Measurements in Separated Flow”, Proc. 18th National Conference on FMFP at Indore (1991), pp B.21-B.26. Sahoo, R.K. and Sharma, S.D. “Reynolds Number Effects on Flow behind a Blunt Trailing Edge”, Proc. 19th National Conference on FMFP at IIT Bombay (1992), pp A9.1-A9.6. Pant, R.K. and Sharma, S.D. “Flow Visualization of an Upper Surface Blown Cruise Missile”, Proc. 19th National Conference on FMFP at IIT Bombay (1992), pp B9.1-B9.5. Sharma, S.D. and Bramhane, S.K. “Experimental Approach towards Optimization of Two Dimensional Base Cavity for Drag Reduction”, Proc. National Conference on Fluid Machinery, Bombay (1994), pp G7.1-G7.5. Sahoo, R.K. and Sharma, S.D. “Measurements in the Wakes of Blunt Trailing Edged Blades with Base Cavities”, Proc. National Conference on Fluid Machinery, Bombay (1994), pp G8.1-G8.8. Ahmed, M.R. and Sharma, S.D. “Tunnel Facility to Simulate Mixing Process in Low Bypass Turbofan Engines”, National Conference on Air Breathing Engines, ISRO, Trivandrum (1994). Sahoo, R.K. and Sharma, S.D. “Near Wake Study of Two Dimensional Slant Base”, Proc. 21th National Conference on FMFP, Hyderabad (1994), pp TF 1.1-1.5. El-Shewey and Sharma, S.D. “LDV Measurements in Open Channel Transition”, Proc. 21th National Conference on FMFP, Hyderabad (1994), pp HF 8.1-8.6. Sharma, S.D., Shevare,G.R., Sudhakar, K. and Phansalkar, S.G. “Experimental Study of Flow through Electro-Static Precipitator Model”, Proc. 22nd National Conference on FMFP, Madras (1995), pp 425-430. El-Shewey, Sharma, S.D. and Joshi, S.G. “Comparative Study of Turbulent Kinetic Energy and Kinetic Energy Based on LDV Measurements and Average Velocity Computations in Open Channel Transitions”, Proc. 22nd National Conference on FMFP, Madras (1995), pp 116-129. El-Shewey, Sharma, S.D. and Joshi, S.G. “Experimental Studies of Turbulent Flows in Sudden and Gradual Open Channel Transitions using Laser Doppler Velocimetry”, Proc. 22nd National Conference on FMFP, Madras (1995), pp 139-147. Sahoo, R.K. and Sharma, S.D. “A Conditional Sampling Technique to Measure the Non-Steady Wake Structure of a Blunt Based Profile”, Proc. 22nd National Conference on FMFP, Madras (1995), pp 500-506. Kamath, R.V., Marathe, A.G. and Sharma “Ejector Flow Simulation using Different Turbulence Models,” Proc. 24th National Conference on FMFP, Calcutta (1997), pp. A 58 - A 62. S.D. Sharma and K. Madan, “Growth of a Compressible Axisymmetric Mixing Layer,” 34th National Conference on Fluid Mechanics and Fluid Power Dec 2007. K.N. Murugan, S.D. Sharma and A. Chatterjee, “Far Field Acoustic Characteristics of Compressible Subsonic Elliptical Jets,” 39th National Conference on Fluid Mechanics and Fluid Power, 13-15 December 2012, SVNIT Surat, India. S.D. Sharma, “Engineering Aspects of Fontan Circulation,” 59th Conference of Indian Association of Cardiovascular-Thoracic Surgeons, 14-17 February 2013, Renaissance Convention Centre, Mumbai, India. S.R. Nikam and S.D. Sharma, “Effect of Chevron on Mixing Characteristics of Compressible Jet,” 40th National Conference on Fluid Mechanics and Fluid Power, 12-14 December 2013, NIT Hamirpur (H.P), India. N.N. Deshmukh and S.D. Sharma, “Study of Combustion Instability with Pre-mixed Flame Confined in a Tube,” 40th National Conference on Fluid Mechanics and Fluid Power, 12-14 December 2013, NIT Hamirpur (H.P), India. B.N. Bhasme and S.D. Sharma, “Circular Cylinder Wake Control by Positioning an Inclined Flat Plate in one of the Separated Shear Layer," 40th National Conference on Fluid Mechanics and Fluid Power, 12-14 December 2013, NIT Hamirpur (H.P. ), India. “Progress in Bluff Body Aerodynamics,” Elsevier Science, Amsterdam-New York-Oxford - Tokyo (1997), [Member of the Editorial Board]. Published by Multi-Science Publishing Co. Ltd., UK since March 2009.